BANGI, 21 Nov, 2012 – Researchers at Gunma University in Japan have succeeded in devising a more economical way of producing synthetic fuel from farm waste products, or Biomass. Presenting results of his research at a public lecture at The National University of Malaysia (UKM) here today, Prof Noda indicated encouraging results which may be suitable for developing countries like Malaysia. Prof Noda said the process used a combination of steam and hydrogen in the pyrolysis of biomass/waste to produce tar, which when hydrogenated yields liquid fuel and raw materials. Pyrolysis is the decomposition of organic materials, such as the farm waste or biomass, using chemicals at very high temperatures, without oxygen. The process is irreversible. He said initial tests done at a medium-sized farming community near his university at Kiryu showed that the fuel produced was of above-average quality but the amount was still not enough for larger communities. Synthetic fuel or synfuel is a liquid fuel obtained from coal, natural gas, oil shale, or biomass. It may also refer to fuels derived from other solids such as plastics or rubber waste. It may also, though less often, refer to gaseous fuels produced in a similar way. Common use of the term “synthetic fuel” is to describe fuels manufactured via methanol to gasoline conversion, or direct coal liquefaction. It has several different meanings and it may include different types of fuels. Worldwide commercial synthetic fuels production capacity is over 240,000 barrels per day as of July 2009, with numerous new projects in construction or development. More traditional definitions like the definition given by the International Energy Agency, is any liquid fuel obtained from coal or natural gas. The Energy Information Administration defines synthetic fuels in its Annual Energy Outlook 2006, as fuels produced from coal, natural gas, or biomass feed-stocks through chemical conversion into synthetic crude and/or synthetic liquid products. A number of synthetic fuel’s definitions include also fuels produced from biomass, and industrial and municipal waste. Prof Noda said if large amounts of biomass from agriculture can be procured, the steam and hydrogenation pyrolysis process may be suitable for third world nations where farming is an important occupation. In this way, the wastes can be used instead of polluting the environment. He, however, cautioned against relying on one method for liquid-fuel production, because there are several other processes that are also being researched. Steam and hydrogenation pyrolysis does need several stages of toxic chemical removal, such as ammonia from plastics and PVC found in industrial effluence. These stages may be hazardous if not carried out by trained personnel. Along with two other scientists, he holds a world-wide patent for a process to convert cement into fuel. 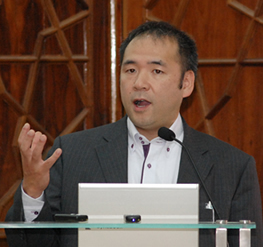 Prof Noda has worked on several projects involving the recycling of organic wastes in Japan. He is an authority on how to utilise PVC and glass wastes from landfills by neutralising the acid, ammonia and chlorine contained in the plastics and removal of sodium from glass. He is often consulted by the Japanese government on recycling programmes. Prof Noda currently serves in the Department of Chemical and Environmental Engineering, Graduate School of Engineering at Gunma University in Kiryu.